HTML5 gallery has two primary aims, the first is to showcase sites that use HTML5 for markup, so that we can see how people have interpreted the specification and how they’ve implemented it. 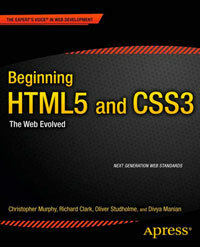 This leads me on to the secondary aim which is to help people learn about html5 and how it should be used and how to implement it. You can follow @html5gallery to get updates when new sites are added to the gallery. With the gallery getting more popular, it was becoming too much to manage so I’m really happy to have brought some other people on board to help me out. Derek is a proud father of 3 and husband. After that I build websites at Website NI with particular interest in HTML, CSS, jQuery, social media and SEO. Follow Derek on twitter. Ian is an Irish web developer, blogger and author (HTML5 Multimedia:Develop and Design) who enjoys coding and writing about emerging web technologies such as HTML5 and CSS3. As well as frontend development, Ian also builds things with backend technologies such as .NET and PHP. He currently works for pixolith in Düsseldorf, Germany. Follow Ian on twitter. Tady is another Irish man based in Dublin, Ireland where he lives with his wife. He works as an Information Architect and Project Manager for Arekibo Communications, but isn’t afraid to get his hand’s dirty with a nice pile of web development. He is also a regular contributer to the Arekibo blog. Tady has recently re-launched his own website where he blogs about his interests including all aspects of web design and development, photography and rugby, amongst other interests! Tady is also a referee with the Leinster Branch of Rugby Referees (though his heart belongs to Munster!!!). Follow Tady on Twitter. Wilfred is a freelance front end developer based in the Netherlands. He loves to travel with a certain rocket and is the father of two sons. He’s nuts about HTML5 forms and semantics and you can follow him on Twitter. I plan on converting the markup to HTML5 when I get the chance as well as working up the design, but in the meantime thanks to the guys at WooThemes for giving away a free theme that was exactly what I was after so I could get this up and running quickly and easily. In the meantime please enjoy browsing the showcase. All work shown is copyright of the individual authors.